FlexNets #21 Deluxe Poly Batting Cage Net: 12'H x 14'W x 55'L (With Door, Baffle Net, Sewn Border, Rib Support, Steel Corner Snaps) at Practice Sports, Inc. 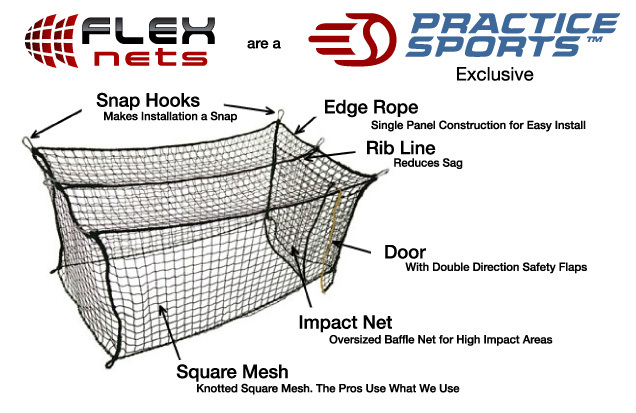 The FlexNets™ #21 Poly 12' H x 14' W x 55' L is a Standard Size Batting Cage Net. 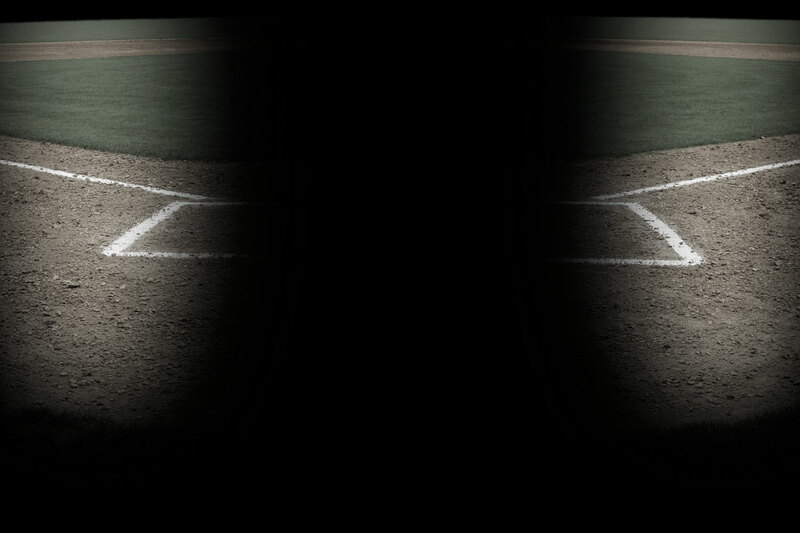 Poly is recommended for light duty home use for Little League ages. 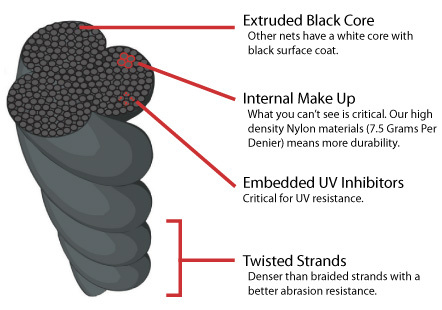 Poly is naturally water-resistant, but is less durable than Nylon. Stretched to Size - Hydraulically stretched at factory to improve knot tightness and reduce stretching and shrinking over time..
My order was delivered 2 days sooner than the schedule. and web purchased went with out any problems.